Quite often the origins of folk coverage on this blog are a live show and its endearing impact. True to form the names of Tracey Browne and Raevennan Husbandes first crossed my path back in the halcyon summer days of August 2014 and to be more precise, The Den stage at Cambridge Folk Festival. Supported by ace pedal steel guitarist B.J. Cole, Raevennan impressed in an exciting set of multi-genre music and for the final number had invited Tracey on stage to sing an accompaniment. Spring forward a few months and the pair confirm their partnership with the release of the excellent full length album EAST BY NORTH WEST. Named after the pair’s home locations at the time of Lowestoft and Manchester, the record contains eight originals and an arrangement of an existing poem. Collectively it hangs together with a thread of beautiful vocals, crafted musicianship and a natural chemistry for collaboration. The project had its own origins in a chance meeting between the pair at a residential music gathering organised by the Unthanks and its fruition could become one of the surprise hits of 2015. The contrasting backgrounds of the pair range from Tracey’s decade long recording career and experience of working with the likes of Thea Gilmore to Raevennan’s spritely, energetic enthusiasm to harness her talents into successful recordings. Musically the album possesses its own contrasts best typified in the haunting stripped down rendition of the Patrick Kavanagh poem ‘On Raglan Road’ and the ravishing addictive upbeat number ‘Fire in My Heart’. The former oozes with pure spiritual class and is arranged within the traditional tune ‘The Dawning of the Day’, while the latter bounces into almost pop territory yet captures some fine musicianship into a song supported by a strong and catchy chorus refusing to be dislodged from your brain. Along with their pristine vocals and joint musicianship (Tracey adds piano and percussion to her guitars while Raevennan focusses on string instrumentation), the pair are joined by several other acclaimed players such as Mike McGoldrick supplying flute on the opening track ‘Coming Home’ and Belinda O’Hooley adding accordion to ‘I’m Gonna Get Myself in Trouble’. The opener sees Tracey reference her home town of Manchester with warts and all nostalgia, while the other track is another of the co-writes and breezes along with a toe-tapping tempo and contains the wonderful adjective ‘asinine’ to send you rushing to your dictionaries. Both artists have followed this ethos after periods of creative inactivity and the result is a duet record perfectly designed to enthral the listener. 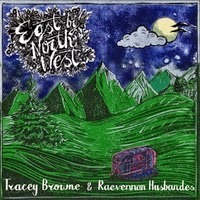 EAST BY NORTH WEST will move you, excite you and first and foremost entertain you. 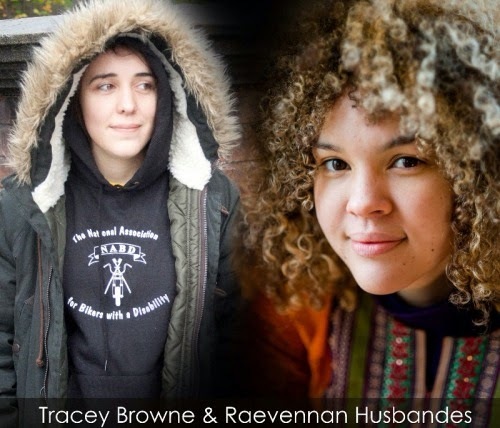 Tracey Browne and Raevennan Husbandes knew they had something creative in common and the lucky recipients are those who engage with this superb record.